Anne Kolb Nature Center and West Lake Park are located in southern Broward in the town of Hollywood on the north and south side of Sheridan Street. This popular nature center features trails, amphitheater, exhibits and a 68-foot observation tower. The exhibit hall has an entrance fee but the trails around the nature center are free. The trails include a fishing trail (catch & release is encouraged and a permit required), the Mudflat Trail, the South Trail (gravel) and the Lake Trail. The exhibit hall at Anne Kolb includes an interpretive 10 minute video about West Lake's ecosystem, a 3,500-gallon saltwater aquarium, and many static or interactive hands on learning opportunities. 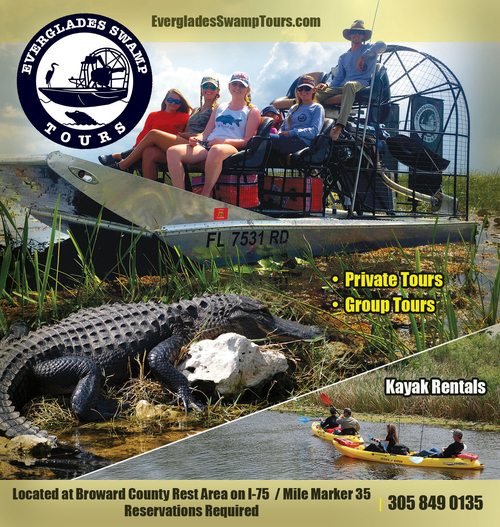 Many people who visit enjoy touring the mangrove wetlands in a kayak or canoe to see local flora and fauna. Canoes and Kayaks may be rented from the marina at West Lake Park or you may launch your own non-motorized craft from the same area. The marina is open seasonally. In addition to the marina at West Lake Park, there are a wealth of recreational amenities found at the park. Sports activities can be accomodated at the four tennis courts, two full-court basketball courts, four racquetball courts, and two sand volleyball courts. There are 2 playgrounds on the south side of the park, one of which includes a splash/water feature. Be sure to bring a towel. Two shelters with water, electricity, grills and tables may be reserved for a fee. There are other pincic shelters available for use that do not have electricity nor water but do have grills and tables. Fishing is allowed along Tarpon Lake. A 30 minute boat tour of the bottom of West Lake is offered year round at a cost of $5 for adults and $3 per child. Please call ahead to be sure it is operating. West Lake Park can be accessed from both the north and south sides of Sheridan Street (west of the Intracoastal bridge) and from the Intracoastal Waterway. Anne Kolb Nature Center is on the north side of Sheridan. Admission and fees to both the park and the nature center vary depending on the day but are no more than $2 per person. Both West Lake and Anne Kolb are part of the Great Florida Birding and Wildlife Trail. Anne Kolb has facilities available to rent for private events including the amhitheater, banquet hall and a conference room.